I Don’t Like Spiders and Snakes — But This Guy Does | Are We There Yet? Little does my husband know the power of the almighty hand — which, when held closely to the eyes without fully covering them, protects the fearful from any apalling images located knowlingly on his blog and still allows for reading pleasure. 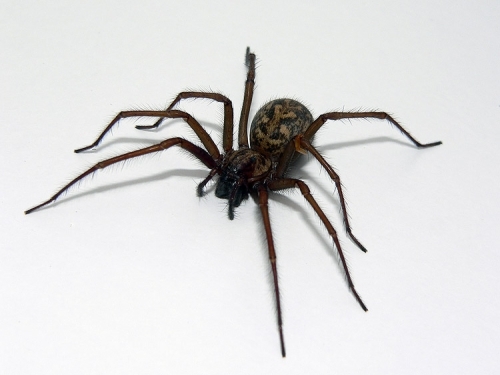 Alas, I query: if a spider in the house is a dedicated house spider, why do I rarely see them until the seasons change to autumn?